I really love being able to make Banjo homemade treats with ingredients already on hand. And when those ingredients happen to have added health benefits? Well, that’s a win-win. 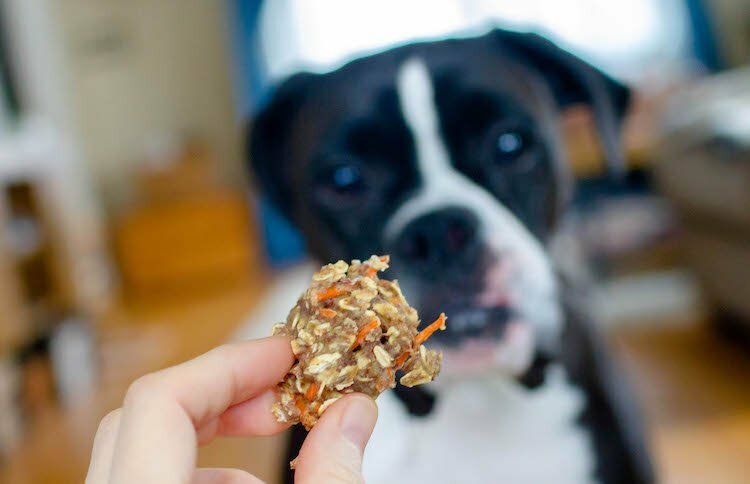 After finding myself with some leftover shredded carrot, I browsed around for some dog treat recipes. Not only did I find a few, but I also found that carrots are a healthy snack for dogs. 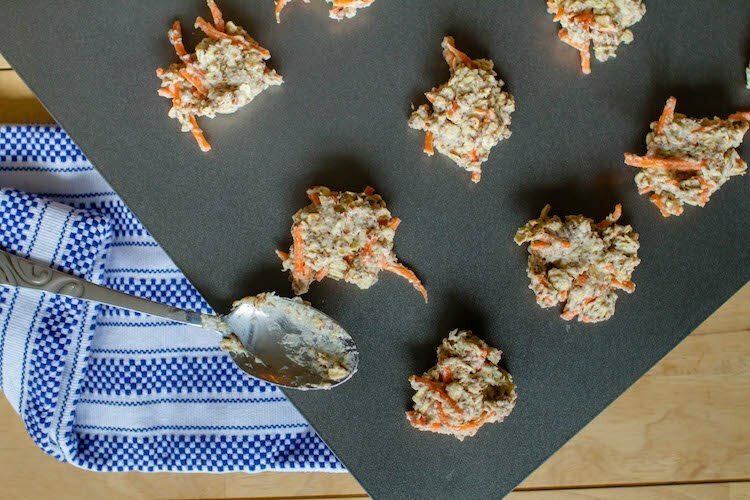 Because letting Banjo gnaw on a whole carrot stick would end up being an almighty mess, I was happy to embrace this recipe that calls for a mound of shredded carrot baked into a tidy cookie. 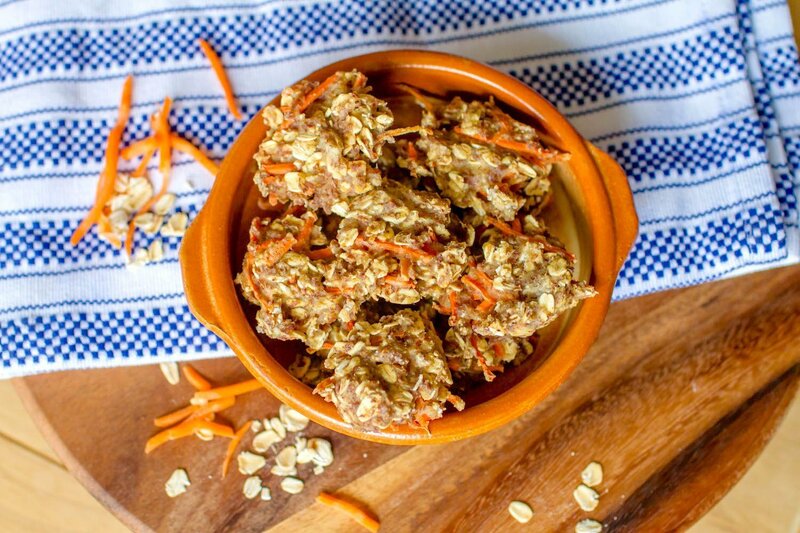 You just might have all the ingredients on hand to make these carrot applesauce dog cookies. 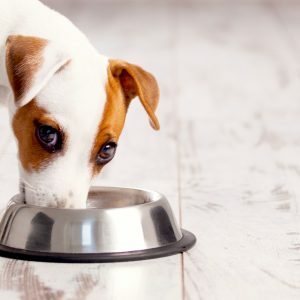 *For pets with wheat allergies, coconut or almond flour would be a great substitute for the wheat flour. 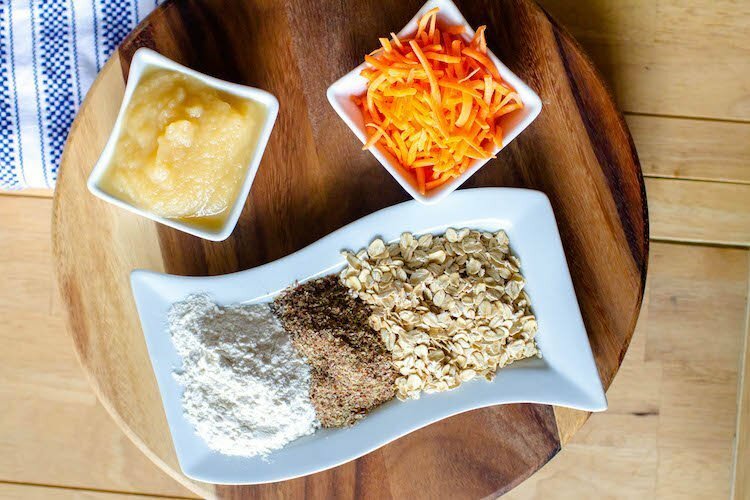 And if you don’t have flaxseed meal on hand, you can increase the flour to ½ cup instead. Bake for 20 minutes. This recipe makes about 1 dozen cookies. Drop the dough by tablespoons on a nonstick cookie sheet. 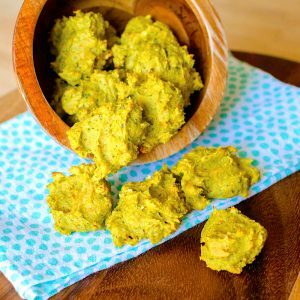 Banjo loved these carrot applesauce dog cookies, and I appreciated the chance to use up some leftover veggies. 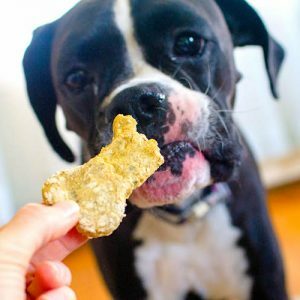 Because this dog treat recipe is so simple, I had only a couple of dirty dishes afterward — which made cleanup a breeze.